How is your work-out working out for you these days? Studies show that many people who start at the gym with every good intention are nowhere to be found within a few months. Why is it that so many well-intended people drop out and disappear from fitness? My hunch is that people drop out from going to the gym for similar reasons that they drop out from going to church. They may find the times inconvenient, the child care inadequate, the music too loud, too soft, too slow, or too fast, the temperature too hot or too cold, the people too cold or intrusive, the instructor/pastor too busy or controlling. Virtually everyone that I know nowadays believes in the value of keeping physically fit. It has been drilled into us by our doctors, teachers, media, and family. Yet so many of us fall short of our personal health goals. I sense that a lot of people have transferred their guilt about not attending church enough to a new guilt about not attending the weight room enough. Guilt, shame, and fear paralyze us in our unhealthy procrastination and avoidance of physical and spiritual growth. Guilt, shame and fear feed our addictions and unhealthy life choices. I have known people who felt so guilty about not attending the gym or church that they have overeaten, over-drank, and over-indulged. More guilt is not the solution to our health issues. So how can we be set free from our spiritual and physical couch-potato tendencies? 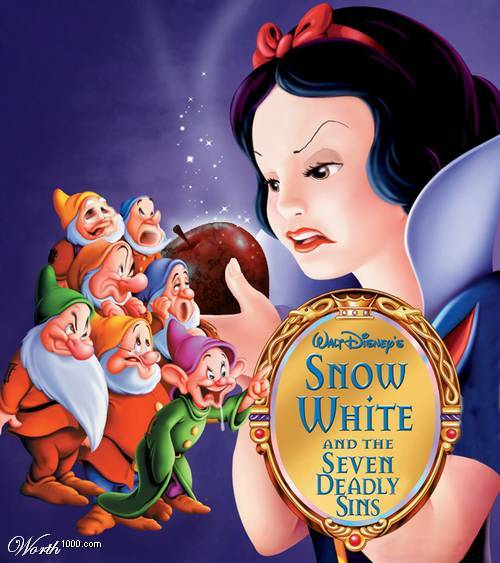 Dr. Gil Stieglitz says that a great way to get healthy is to memorize the seven deadly sins and then daily measure our current behaviour by those seven criteria. The first deadly sin/challenge is Pride, which Dr. Gil defines as ‘feelings of superiority, self-absorption, and lack of teachability.’ Sometimes people don’t make it to the gym or church because we have become self-satisfied and unwilling to grow. The second deadly sin is Envy which Dr. Gil defines as ‘the desire for what belongs to others’. I have been guilty of that sin many times at the gym. Why is it taking me so long to get in shape physically or spiritually when others around me seem so healthy? Sometimes the puny size of my weights or my prayer life can tempt me to not bother to try. The third deadly sin is Anger which Dr. Gil defines as ‘being blocked from a goal, irritated, seething’. The person we usually feel most angry at is ourselves, angry that we are not losing weight quickly enough, not improving fast enough, angry that it is taking so long to become Christ-like and loving. You may have heard the angry comment that the church or gym is full of hypocrites, to which I say ‘there is always room for one more hypocrite’. The fourth deadly sin is Lust, which is far more than just sexual. It is really about the need to have it all our way immediately. Many of us give up on the gym and church, because it is taking too long to achieve our goals. We want it all right now! Getting healthy takes time! The fifth deadly sin is Sloth which Dr. Gil defines as ‘laziness, working with a minimum effort, procrastination’. Going to Church or the gym requires effort, time, and money. It is often tempting to give in to our feelings of tiredness, discouragement and fear. Why bother to try? The Tempter wants us to be physically and spiritually healthy, as long we do it next month, not this month. 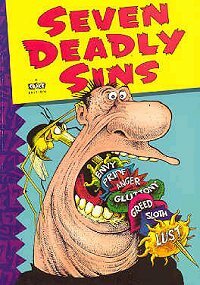 The sixth deadly sin is Gluttony which Dr. Gil defines as ‘overindulgence, addiction, seeking comfort’. Many people feel so embarrassed about their body or soul that they won’t even try. It’s just too painful. 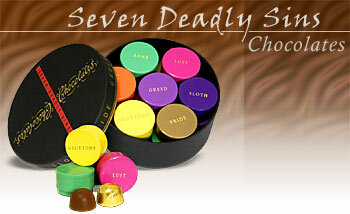 The seventh deadly sin is Greed which Dr. Gil defines as ‘longing after money and things’. Greedy people will refuse to go to church or the gym, claiming that ‘all the church/gym wants is your money’. In fact the gym and church are there for our health, and our health is worth every penny that we invest. 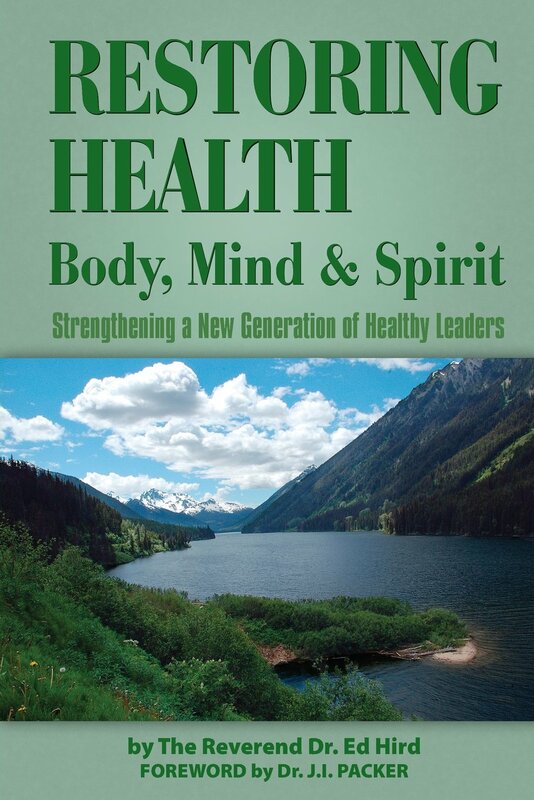 What use is wealth without health? See you at God’s Gym! To receive a signed copy within North America, just send a $20 cheque (USD/CAN) to ED HIRD, #102-15168 19th Ave, Surrey, BC V4A 0A5. – In order to obtain a signed copy of the prequel book Battle for the Soul of Canada, please send a $18.50 cheque to ‘Ed Hird’, #102-15168 19th Ave, Surrey, BC V4A 0A5. Categories: Uncategorized | Tags: addiction, anger, Anglican Coalition in Canada, Anglican Mission in the Americas (Canada), Battle for the Soul of Canada, child care, Christ-like, Church, couch-potato, discouragement, doctor, Dr Gil Stieglitz, embarrassed, envy, fear, fitness, gluttony, God's gym, greed, guilt, gym, hypocrite, hypocrites, inconvenient, irritated, laziness, loving, lust, money, music, North Shor, over-drank, over-indulged, overeaten, overindulgence, personal health goals, physical growth, physically fit, pride, procrastination, Rev Ed Hird, seeking comfort, seething, self-absorption, self-satisfied, Seven Deadly Challenges, Seven Deadly Sins, sexual, shame, sloth, spiritual growth, St. Simon's Church North Vancouver, superiority, takes time, teachability, temperature, The tempter, things, time, tiredness, unwilling to grow, wealth, weight room, why bother to try?, Why bother?, workout | Permalink.